The Hjelle Jar ~ Make a Joyful Noise! David wanted to play a guitar too, but he doesn’t know how to yet. I gave him two spoons to use for percussion, but it wasn’t enough for him. 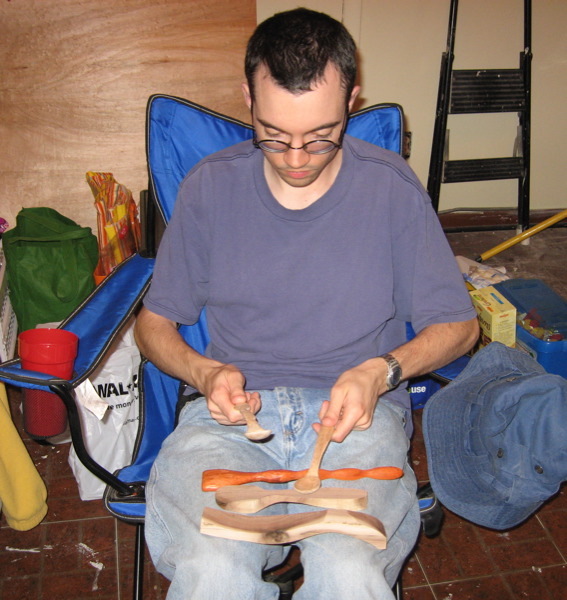 He found out that by adding a few other pieces of unfinished spoons, he could make some really pretty noise.